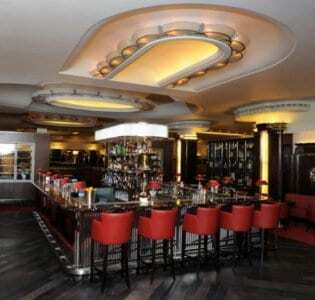 Pollen Street Social is a stylish bar in Mayfair, London. It is divided into 2 distinct spaces: The Social Room for cocktails and tapas and a dinning room. This new venture by Jason Atherton (one of Gordon Ramsey’s proteges, formerly of Maze) has generated quite a bit of buzz. 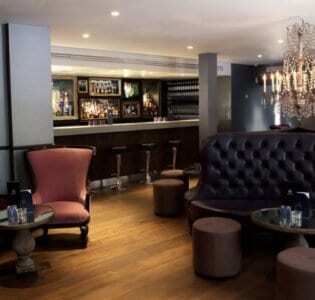 The stylish Mayfair space is divided into two distinct spaces: The Social Room, a cocktail and tapas bar, and a more formal dining area complete with the exciting prospect of a dessert bar. The venue is sleek and contemporary, all white and wood, with the food and drink allowed to shine. The cocktail list contains the requisite classics with promises of more creative drinks to come. 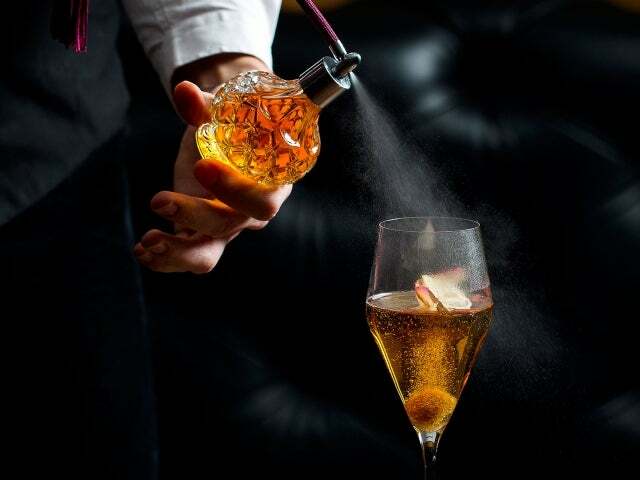 We like the sound of their distinctive Bellini made with sloe gin and prosecco. Accompanying bar tapas include Ginger Pig terrines, lamb chops served with aioli or the, by now obligatory, Iberico ham. If you’re fortunate enough to snag a table in the main restaurant, Atherton’s cooking is bound to impress even if portions are said by some to be on the stingy side.